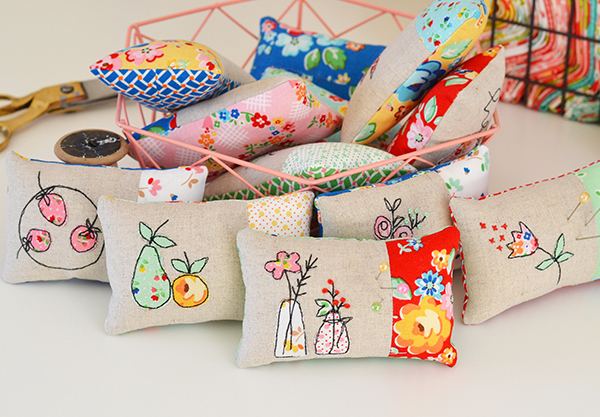 Down Grapevine Lane: Pincushions Galore + Giveaway! 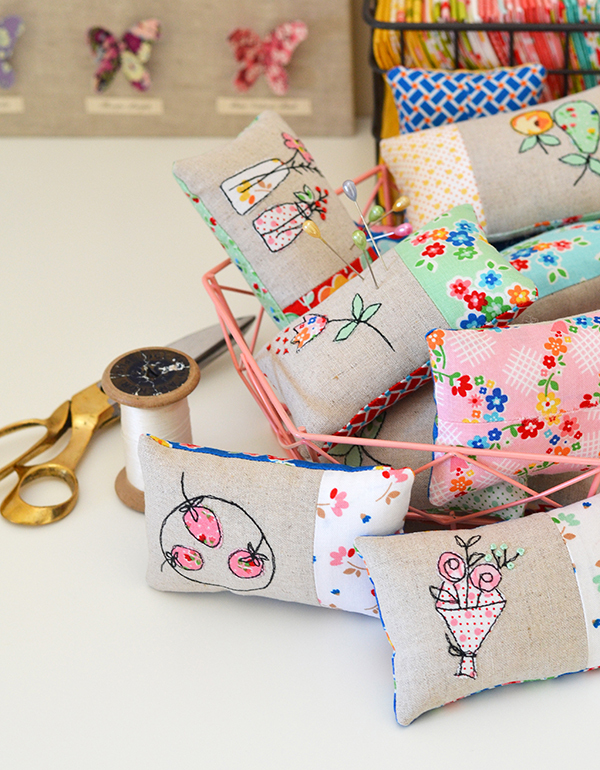 When Nadra from Ellis & Higgs sent me some of her latest fabric collection Arbor Blossom recently, I instantly knew what I wanted to make with them - a set of pincushions for gifts! 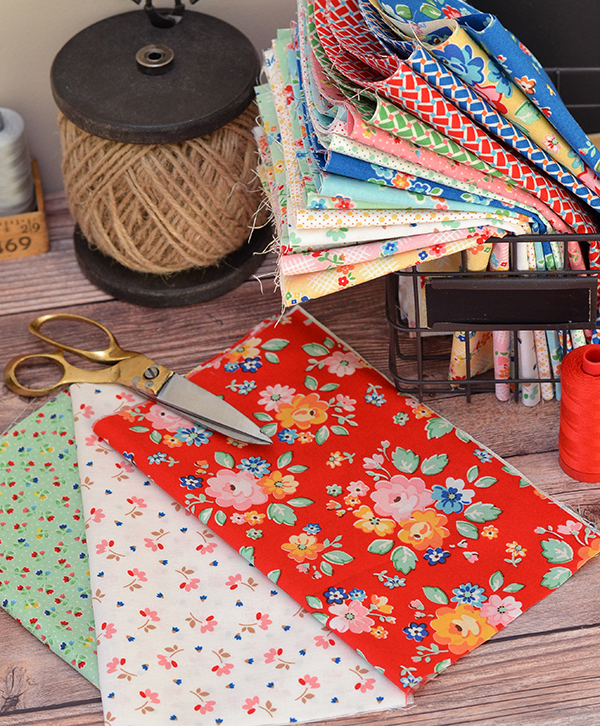 Look at the colours of this line - so bold and vibrant, with bright blues, reds, pinks and greens, but also a few low volumes mixed in there too. 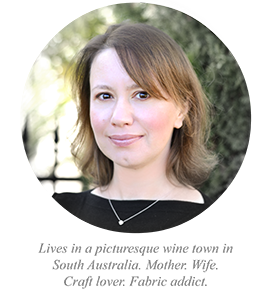 Utterly gorgeous, and so very 'Nadra'! 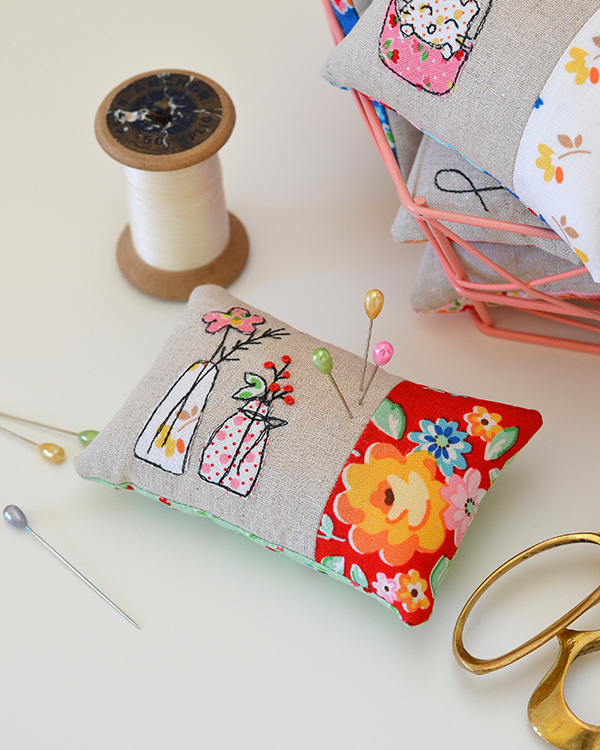 I was in the midst of some deadlines when my friend Minki Kim was running a pincushion sew along for her adorable applique patterns a few months back, and I knew they would be a perfect fit for these fabrics. I intended to make about six to give out as gifts, but once I started I couldn't stop and ended up making a dozen. With other deadlines looming I had to force myself to stop - but I could have kept going. Minki's drawings are so stinking cute! 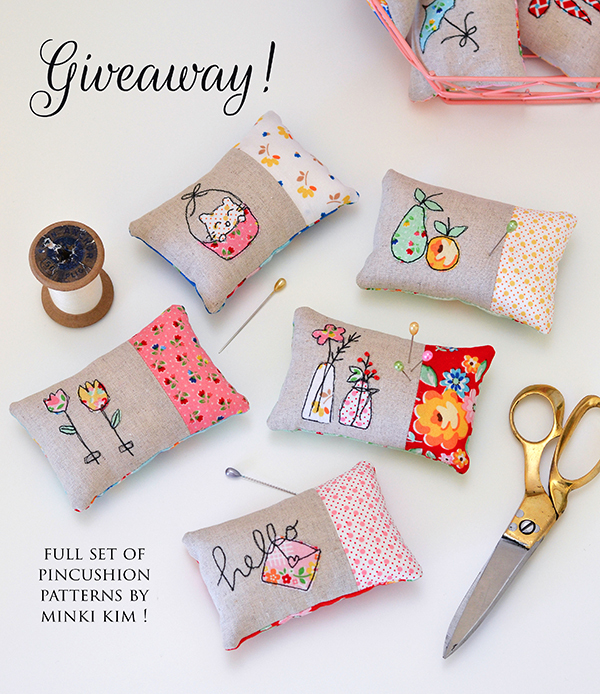 You can purchase Minki's patterns in her shop. She has lots of different sets to choose from and they only cost a dollar each - bargain! 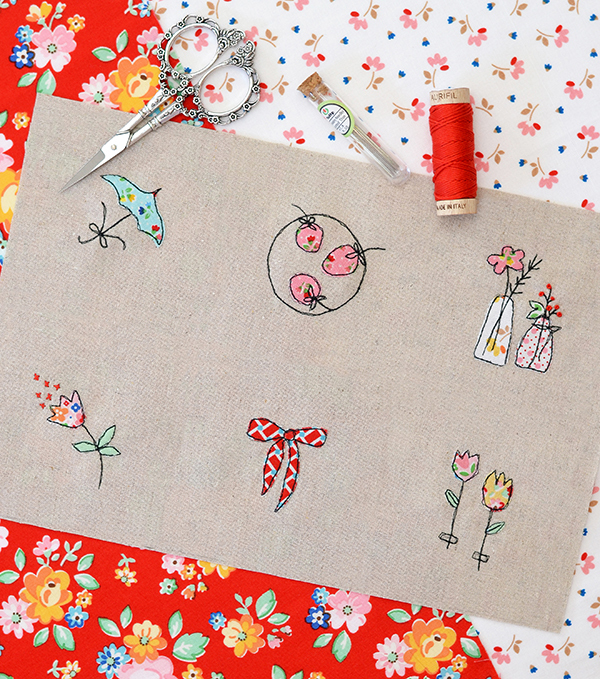 The technique used in the making of the appliques is called sewing illustration, and it's essentially machine applique with black / dark brown stitch, going over the outlines twice. 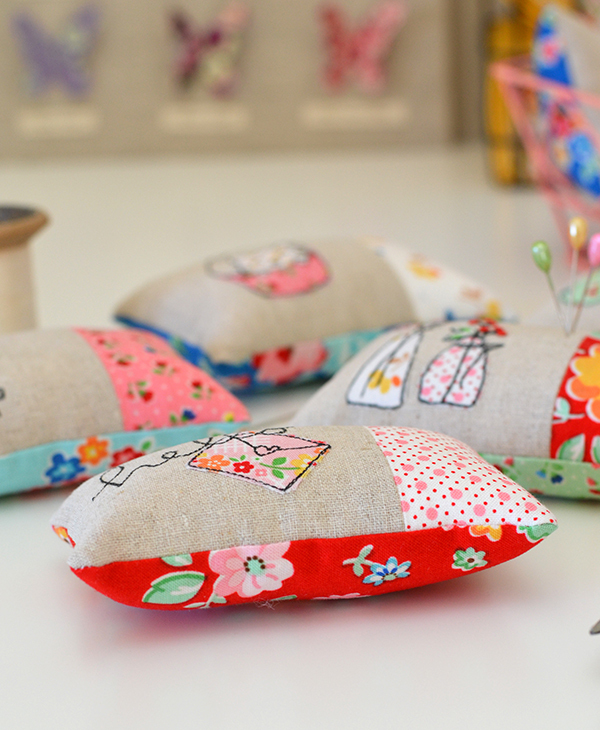 If you have never tried this Minki has a set of tutorial videos on You Tube explaining how. 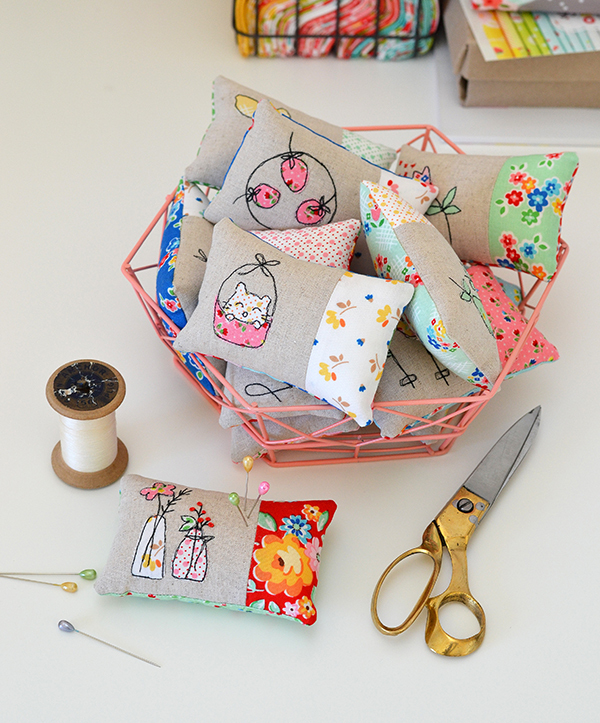 Minki kindly offered a full set of her pincushion patterns (over 60 motifs!) to one of my followers - if you would like to win this go to my Instagram account to enter. We will pick a winner on Tuesday. Good luck! 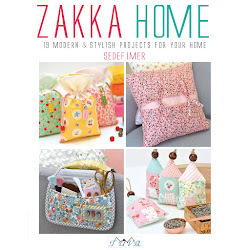 Big thank you to Minki and Nadra, who are not only good friends but also fellow Riley Blake fabric designers. I'm truly blessed to be in the same team with talented ladies such as these two! Holy Cow! Those are so cute! 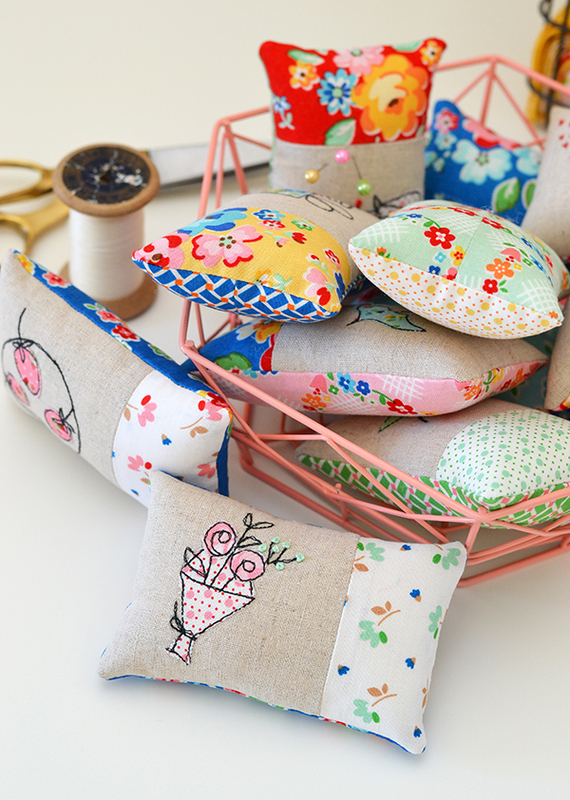 I have been wanting to start doing some handwork, but a lot of the things I see aren't really my style. But these....oh they are nice! Thanks for sharing. I deleted my earlier comment. Watched the youtube video and realized I have her book! I don't have an IG account but these are just plain adorable. 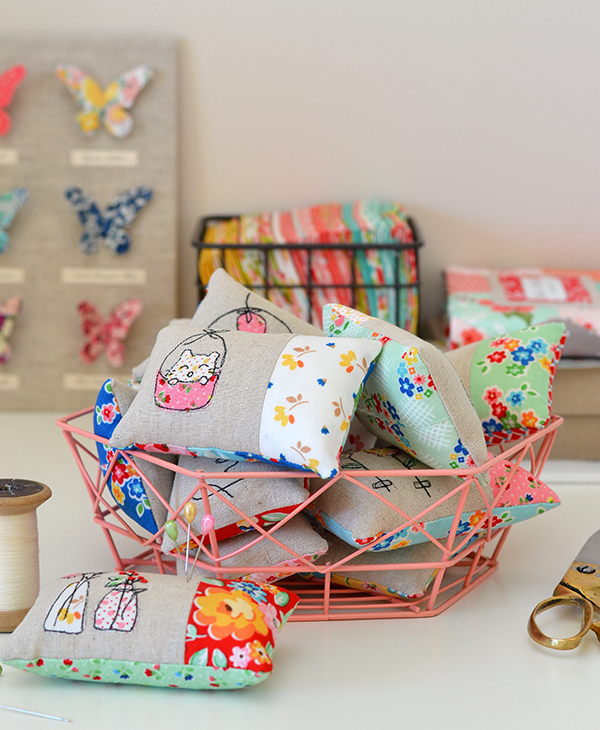 I love those drawing fabrics! So cute!